Edinburg’s top elected and economic development officials, along with leaders with Doctors Hospital at Renaissance, on Thursday, March 3, participated in the groundbreaking of the $9 million Edinburg Conference Center at Renaissance (ECCR). Located near the intersection of McColl and Dove in the southwest portion of the city – and adjacent to northeast McAllen – the Edinburg Conference Center at Renaissance will be used for an assortment of activities, all aimed to enrich the medical community and the public at large. “The Edinburg Conference Center at Renaissance is a place where doctors and other health care practitioners from throughout South Texas will come together to hear from the leading experts in medicine and health care,” said Mayor Richard García. “Already, Doctors Hospital at Renaissance is recognized as one of the leading hospitals in Texas, and this facility will further enhance its ability to bring world-class health care to Edinburg and to the entire region. In the end everybody benefits, the doctors, the patients, and the community.” Featured, from left: Mayor Pro Tem Agustín "Gus" García, Jr.; Councilmember Noé Garza, P.E. 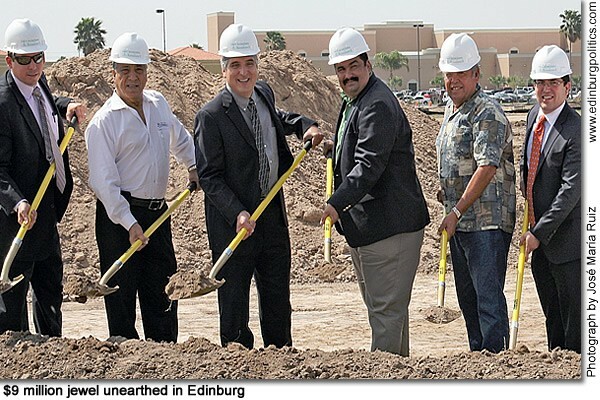 ; Mark S. Peña, a member of the Board of Directors of the Edinburg Economic Development Corporation; Councilmember Gene Espinoza; Fred Palacios, the secretary/treasurer for the Board of Directors of the Edinburg Economic Development Corporation; and Pedro Salazar, executive director of the Edinburg Economic Development Corporation. See story in this posting. The 38,000-square-foot Edinburg Conference Center at Renaissance (ECCR), for which ground was broken on Thursday, March 3, will provide unparalleled architectural amenities. EECR will house an auditorium with stadium seating for 1,000 individuals, along with two multi-purpose rooms, each with seating for up to 250 people. The auditorium will feature a 3,100-square-foot main stage, a state-of-the-art sound system, theatrical LED lighting, and satellite broadcasting capabilities. The EECR will host meetings, lectures, community events, and patient education forums. The conference center is also designed to hold musical and theatrical performances. 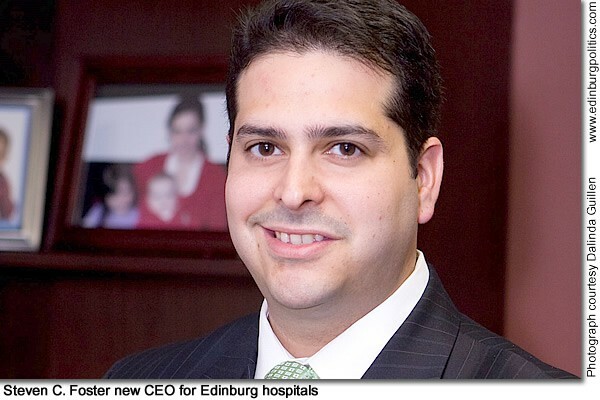 “The construction of the Edinburg Conference Center at Renaissance is evidence of the way our community can work together to build a center that will further our ability to share knowledge with the cities we serve,” said Carlos J. Cárdenas, MD, the chairman of the Board of Directors of Doctors Hospital at Renaissance. "The City of Edinburg is a driving force in providing the best for people in our community, which includes the best educational opportunities, entertainment, and the most advanced health services in the Rio Grande Valley.” As part of a more than $2 million investment by the city into the public/private partnership with Doctors Hospital at Renaissance, Edinburg will be able to secure usage of the complex for a wide range of events. See story later in this posting. Who would have thought that a phone call from Three Rivers, Texas in 1949 would spark the Mexican-American Civil Rights Movement? No one was more surprised than Sara Posas, featured second from right, who is the sister-in-law of Pvt. Félix Longoria. 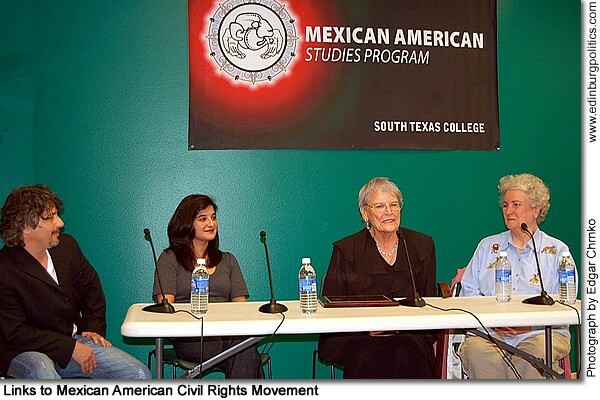 She was a special guest-speaker at the opening of the recent National Association of Chicana and Chicano Studies Tejas Regional Conference held at the South Texas College Pecan Campus Library Rainbow Room. The opening night of the 2011 NACCS Conference kicked off with the standing room only film screening and roundtable discussion of The Longoria Affair. The discussion brought together Posas with film director and writer John Valadez, Wanda García, daughter of civil rights pioneer Dr. Héctor P. García, and Marianne Bueno of North Texas University. At the conclusion of the film screening, Posas reminisced about the events that transpired after the death of her brother-in-law in World War II. She talked about the return of his remains to Three Rivers for a proper burial and the subsequent denial by the funeral parlor because “the white people wouldn’t like it.” She offered her sister help in the form of a call to Dr. García, which she accepted, and the rest is history. “I was at the right place, at the right time,” Posas explained. “All I did was make a phone call. I called my hero, Dr. Héctor P. García.” Featured, from left: the 2011 National Association of Chicana and Chicano Studies Tejas Regional Conference opening keynote panel on The Longoria Affair included film director and writer John Valadez; Marianne Bueno of The University of North Texas, Félix Longoria’s sister-in-law Sara Posas; and Wanda García, the activist daughter of civil rights pioneer Dr. Héctor P. García. See story later in this posting. The Boys and Girls Clubs of Edinburg RGV are expressing their appreciation to the planning committee of Canada’s Hands Across the Border dinner and Victoria Palms Resort for their contribution of $1,145 towards youth development programs for youths served by the organization. The Boys and Girls Club RGV, which has played an integral role for 40 years in helping develop and guide tens of thousands of young residents, offers programs that emphasize character and leadership development, education and career development, health and life skills, the arts, and sport, fitness and recreation. 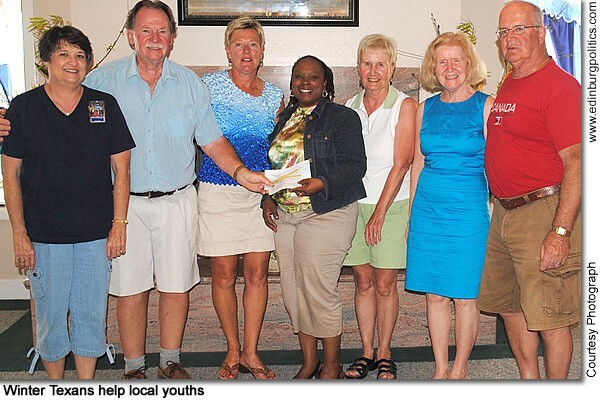 Featured are some of the members of the Victoria Palms Resort and planning committee for Canada’s Hands Across the Border, from left: Sherry Morgan, manager for Victoria Palms Resort; Don and Sarah Mackenzie; Sabrina Walker-Hernández, chief professional officer for the Boys and Girls Club of Edinburg RGV; Marion Arnold; and Rosie and Gerry Culhane. Not pictured are George Arnold and Brian Smith. Approximately 50 percent of the residents of the Rio Grande Valley aged 25 and older have not earned a high school diploma, much less college credits. Of that 50 percent, approximately one half have earned a ninth grade education. “When you are confronted with this data, it is startling and causes serious concern,” said Dr. Shirley A. Reed, president of South Texas College. 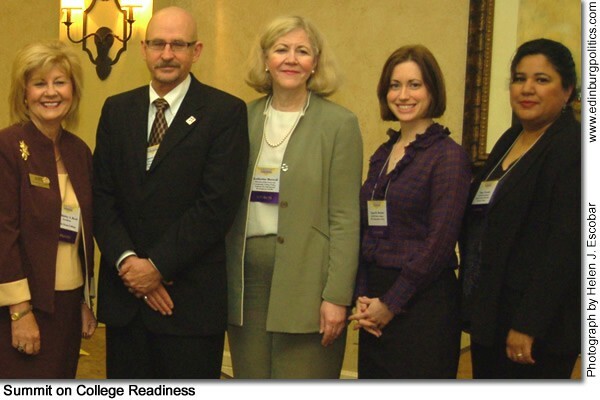 “That is why we continue to host our annual Summit on College Readiness. Collectively, we have to do more to stress the importance of education, because the journey to college must begin the day a child is born. Our region will simply not continue to prosper if we don’t develop a high skill, competitive, and educated workforce, which includes all deep South Texans.” More than 260 attendees from all levels of education from across the region, state and nation gathered in late February to face the hard facts at STC’s summit. Featured, from left: Luzelma Canales, STC interim dean of Community Engagement; Jonathan Arteaga, McAllen High School AVID Program student; and STC President Shirley A. Reed. See story later in this posting. The Boys & Girls Clubs of Edinburg RGV recently announced that as a result of grant from Hochheim Prairie Insurance, Evangelina Cantú and César Mercado – two members of the local group’s TeenSupreme Program – on Monday, February 28 and Tuesday, March 1, attended the 2011 Boys & Girls Clubs of America Texas Alliance and Youth Competition in Austin. 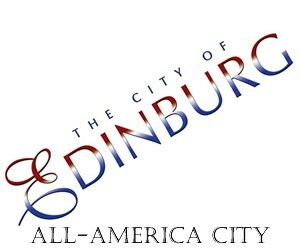 Both local residents had earlier been named Youth of the Year for their local Edinburg Units, Club 2020 El Tule and San Carlos, respectively, and attended the Austin trip to visit the capital, the University of Texas, and the Youth of the Year luncheon, where the state finalist was named. 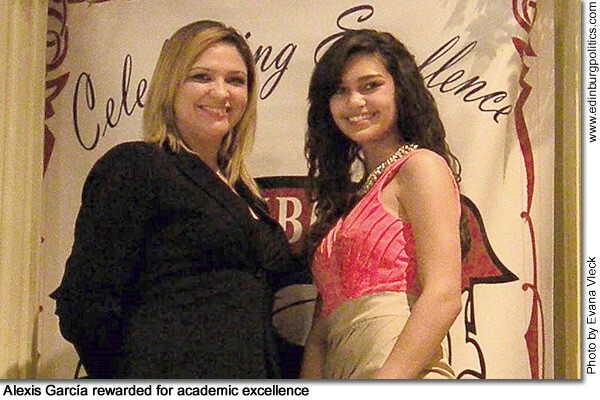 The keynote speaker at this luncheon was Rep. Verónica Gonzáles, D-McAllen. 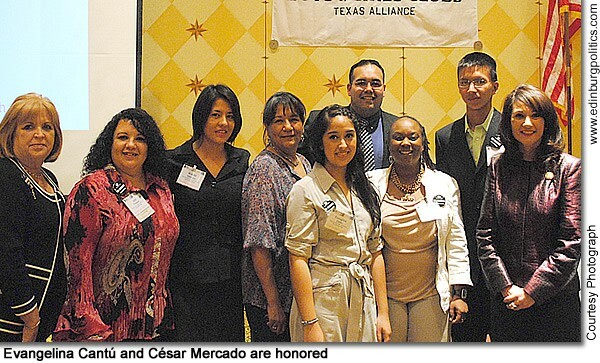 Featured, from left: Ella de la Rosa and Judi Flowers, members of the Board of Directors for the Boys & Girls Clubs of Edinburg RGV; Araceli Valencia, local program supervisor teens; María Medina, local director of operations; Evangelina Cantú, one of the two local Youth of the Year; Eduardo Villanueva, a member of the Board of Directors for the Boys & Girls Clubs of Edinburg RGV; Sabrina Walker-Hernández, chief professional officer for the Boys & Girls Clubs of Edinburg RGV; César Mercado, the second of the two local Youth of the Year; and Rep. Verónica Gonzáles. See story later in this posting. 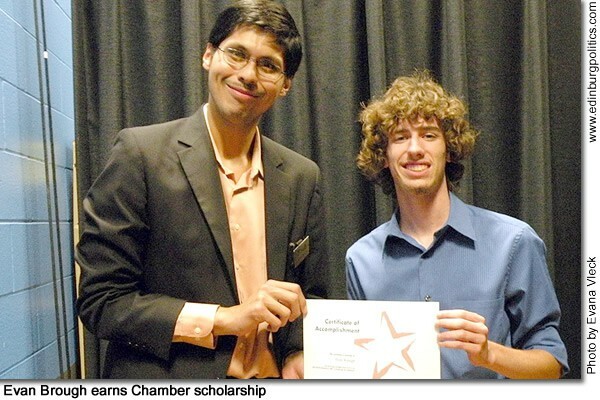 Want to be part of an award-winning chamber of commerce? 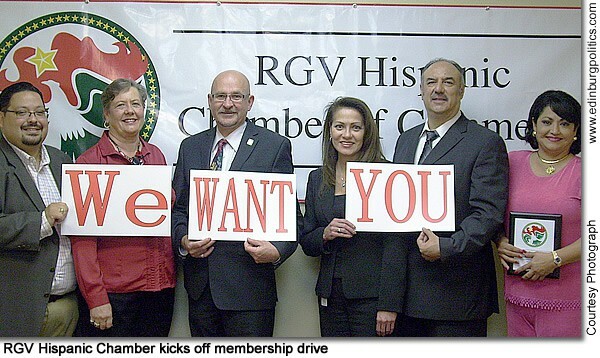 The board of directors of the Rio Grande Valley Hispanic Chamber of Commerce Board of Directors recently finalized their spring membership drive, which was set for Tuesday, March 8 and Wednesday, March 9. The event was open to the public. 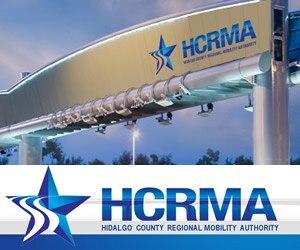 Individuals unable to attend the early-March membership drive may still contact the RGV Hispanic Chamber of Commerce for needed materials by calling 928-0060. Featured, from left, promoting the spring membership drive are: Armando Garza, chair; Marti Miller, vice chair of membership; Dr. Robert Nelsen, president of the University of Texas-Pan American, who also serves as vice chair of education; Jenise Díaz, vice chair of public relations; Mario Garza, vice chair of health; and Cynthia M. Sakulenzki, president and CEO of the RGV Hispanic Chamber of Commerce. See story later in this posting. Magee Elementary staff members Lorenzo Flores and Gloria Garza, along with students Juan Lara and Annette Pérez, get ready to raise an honor flag given to their school during a recent special flag ceremony. During a lesson on patriotism last fall, Magee students decided to write letters to American troops in Afghanistan that could be included in care packages they were sending to the soldiers for Christmas. When Commander Richard Nalwasksy, the commander of the American troops in northern Afghanistan, received the care packages and letters, he wrote Marla Cavazos, Magee principal, and the students thanking them for the uplifting gesture. The American troops were so motivated by what the students did that they decided to fly an American flag over their base in Afghanistan in honor of Magee Elementary. Magee Elementary staff and students held a flag ceremony to raise the honor flag. 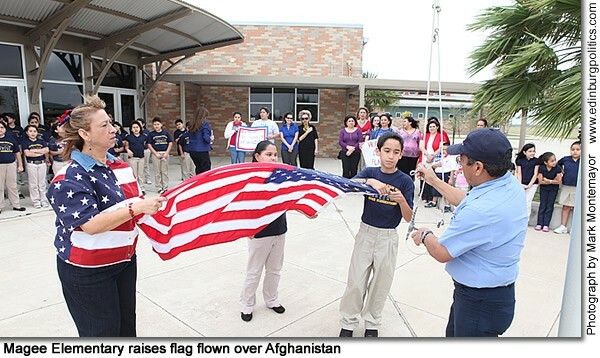 Cavazos said the students learned about social studies, honor, community and patriotism. The Edinburg Chamber of Commerce and http://www.EDBGCityLimits.com on Tuesday, March 22, from 11:30 a.m. until 1 p.m., will host a seminar titled Marketing your Business during Hard Economic Times. This presentation will provide area residents important tips on marketing – on a modest budget – their business through social networks, radio, television and newsprint media through DIY (Do it yourself) networking. Some guest speakers include Elizabeth C. Martínez with Media Morphosis, Lebby Salinas and Shaine Mata from Social Media Network, and others. All businesses go through budget crunches and economic woes as they struggle to gain notice to news, events and finding ways to attract new clients without having to spend. This event, which is available for a $10 cost per individual, will be held in the Edinburg Depot, located at 602 West University Drive. 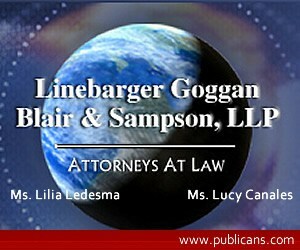 The fee also will cover the costs for lunch, refreshments and door prizes. Individuals are encouraged to bring their business cards for networking purposes. 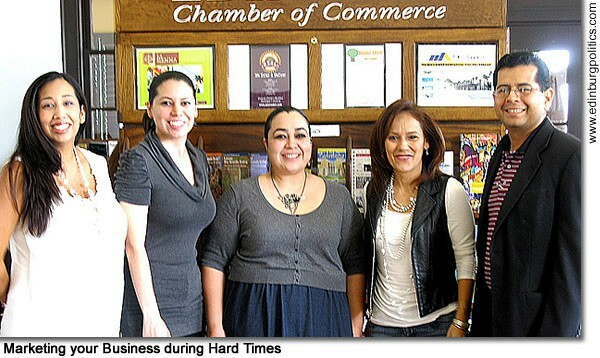 Featured promoting the event are, from left: Elizabeth C. Martínez from Media Morphosis; Letty Reyes with the Edinburg Economic Development Corporation; Evana Vleck with the Edinburg Chamber of Commerce; and Lebby Salinas and Shaine Mata with Social Media Networking. To RSVP attendance, please call 956/383-4974. As the family of the late Pedro Cano of Edinburg listen intently, Gov. 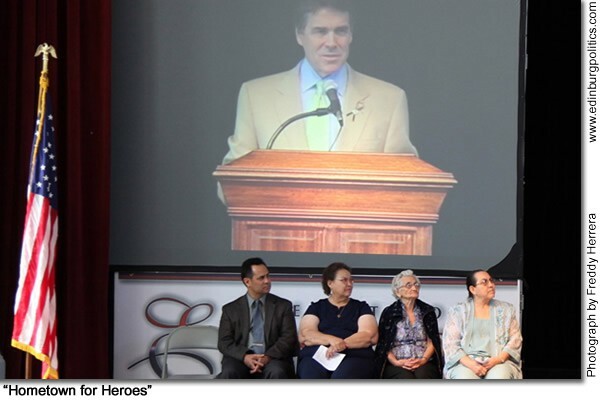 Rick Perry, whose image towered over them on a video screen in the Edinburg Auditorium, on Tuesday, May 18, praised the late World War II hero as "a young man who left this beautiful town to defend his adopted country and achieved far above and beyond the call of duty." 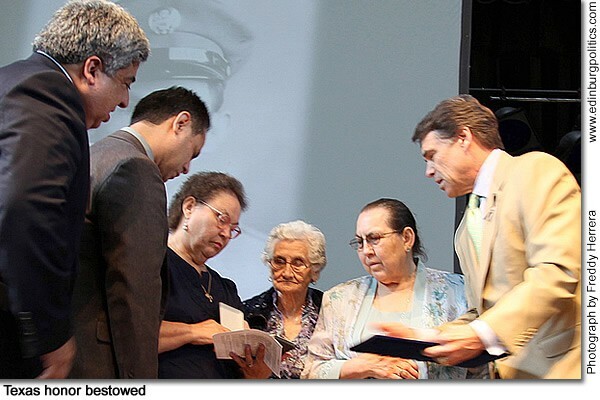 Perry was in Edinburg to posthumously bestow the Texas Legislative Medal of Honor upon Cano – and in a reference to all other men and women from Edinburg who have fought – and many who have died – for America, proclaimed Edinburg as the "Hometown for Heroes". 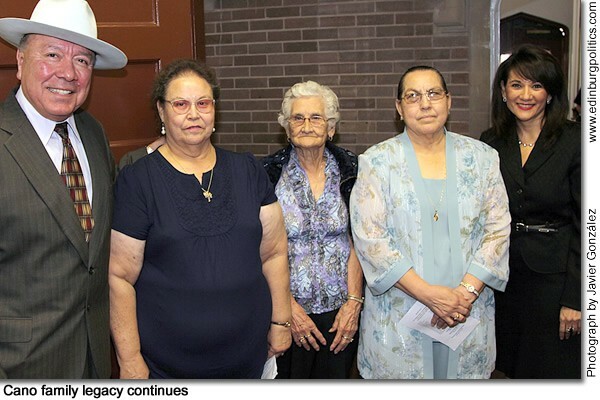 Featured, from left: son Stephen Cano; daughter María Cano Arías; sister Alvina Cano Martínez; and daughter Dominga Cano Pérez. See story later in this posting. 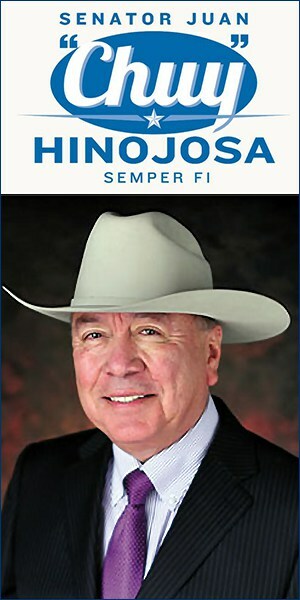 Sen. Juan "Chuy" Hinojosa, D-McAllen, and Rep. Verónica González, D-McAllen, extend the region’s gratitude to several of Pedro Cano’s family on Tuesday, May 18, during a major gathering in the Edinburg Auditorium to posthumously bestow the Texas Legislative Medal of Honor upon the late World War II military hero. "Pedro Cano repeatedly risked his life to save the lives of his fellow soldiers and to help advance their mission, and for his extraordinary heroism he is most assuredly deserving of this state’s supreme military award; now," said Hinojosa, a U.S. Marines combat squad leader during the Vietnam War. "The 81st Legislature of the State of Texas hereby posthumously confers the Texas Legislative Medal of Honor on Pedro Cano in recognition of his courageous actions in World War II and express to his family its deepest appreciation on behalf of all his fellow Texans." Featured, from left: Sen. Juan "Chuy" Hinojosa, D-McAllen; Cano daughter María Cano Arías; Cano sister Alvina Cano Martínez; Cano daughter Dominga Cano Pérez; and Rep. Verónica Gonzáles. See story later in this posting. Members of the Pedro Cano family, flanked left by Rep. Aaron Peña, D-Edinburg, and Gov. Rick Perry, flanked right, on Tuesday, May 18, accepted the Texas Legislative Medal of Honor from the state and local leaders, including (not shown in this image) Sen. Juan "Chuy" Hinojosa, D-McAllen, Rep. Verónica González, D-McAllen, and Edinburg Mayor Richard García, on behalf of the late World War II hero. The Texas Legislative Medal of Honor was established to honor gallant and intrepid service by a member of the state or federal military forces, and through his courageous actions in World War II, United States Army Private Pedro Cano distinguished himself as a worthy recipient of this prestigious award. See story later in this posting. Flags in a row stand tall in front of their respected marker. More than 350,000 were placed in the ground during the “Flags In” ceremony at Arlington National Cemetery, Arlington, Virginia, on Thursday, May 27, 2010. As South Texans marked the national holiday, a local veterans organization has released the names of 146 Valley men who were killed in action during the war in Vietnam. Fifteen of those Valley men killed in action in Vietnam were from Edinburg while were from McAllen. Harlingen and Brownsville saw the largest numbers of local men from deep South Texas make the ultimate sacrifice – 23 and 22 killed in action, respectively – fighting for America’s freedom in Vietnam. See story later in this posting. Rey Leal Jr. of Edinburg, a South Texas College student who served as a Marine during some of the heaviest fighting in Operation Iraqi Freedom, was recently profiled on CNN’s web site with a story entitled Facing enemy fire from behind the lens. 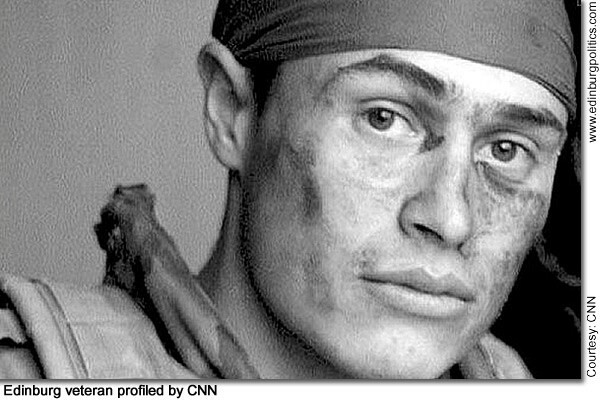 CNN covered the prolific images captured by Leal during his tours in Iraq. Having served in the Marine Corps as an infantryman from 2004 to 2008, he captured the behind-the-scenes moments that ordinary Americans rarely see. “By the time I joined the Marine Corps, I always had my camera with me,” he said. "When you look at the news, when you look at newspapers, you always see not the worst, but you always see the action," said Leal. "You never see the calm before the storm. A lot of the stuff I did was not actual combat, it was just the stuff we did, the down time, the stuff you never see. The profile of Leal can be found at http://www.cnn.com/video/#/video/us/2010/05/26/military.photographer.leal.cnn?iref=allsearch. See story later in this posting. Nine-year-old Jonathan Lerma of Edinburg on Monday, May 24, was able to return home from the hospital in his new wheelchair after an access ramp was graciously donated by two local businesses. 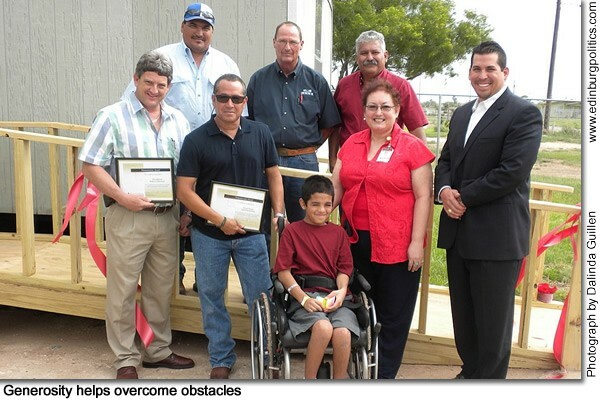 Upon learning of the boy’s need, State Wide Roofing and Bullard Construction collaborated to provide the materials and labor to help build a ramp for Jonathan’s home while he underwent inpatient therapy at Edinburg Regional Rehab Center. “I think it’s fantastic that some of our local businessmen are joining in to help out,” said Edinburg City Councilmember Gus García. 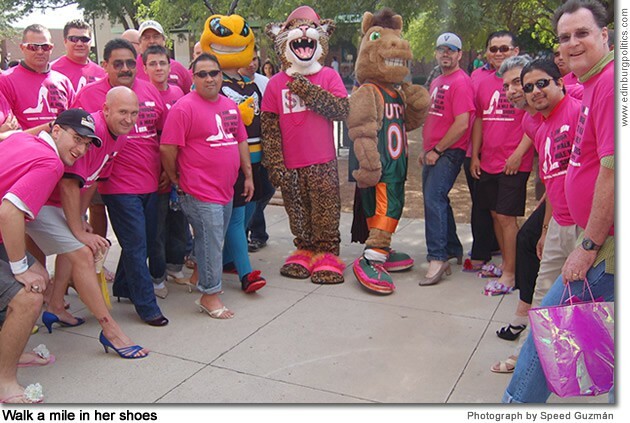 “It’s just an example of the fine leadership we have here in the community.” Featured, from left, front row: Dan Ogletree, Bullard Construction; Donato “Donut” Amaya, State Wide Roofing; Jonathan Lerma; Rubicella Salazar, Edinburg Regional Rehab Center; Edinburg City Councilmember Gus García. Back row, from left: Ronnie Martínez, Kevin Waters, and Joe Cano, Bullard Construction. See story later in this posting. Mike Allen, featured left, and Gary Gurwitz, featured right, were sworn in on Thursday, May 27, to continue serving District 3 and District 4, respectively, on South Texas College’s Board of Trustees. Both incumbents were the winners of elections held in early May. Allen will represent the interests of the constituents of south McAllen, southwest Pharr, Hidalgo, Sharyland, southeast Mission and Granjeno. 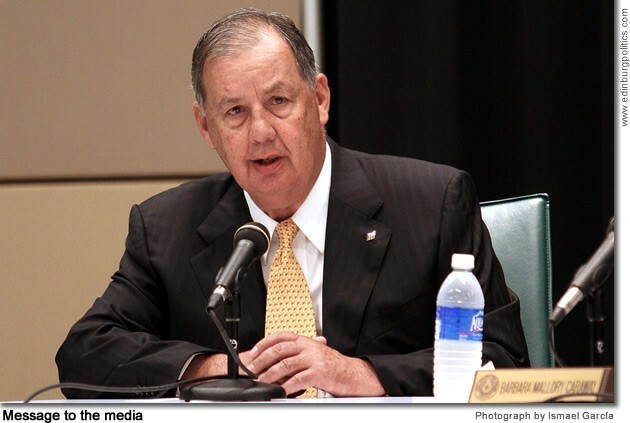 Widely known as the retired president and CEO of the McAllen Economic Development Corporation, Allen has been a member of the board since May 2004. 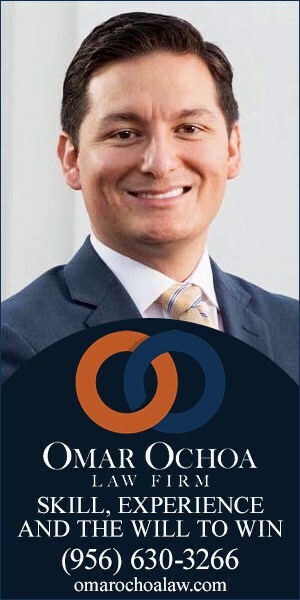 As the District 4 representative on the board, Gurwitz represents the constituents of north McAllen, northwest Pharr, Palmhurst, northeast Mission, and a portion of Edinburg. 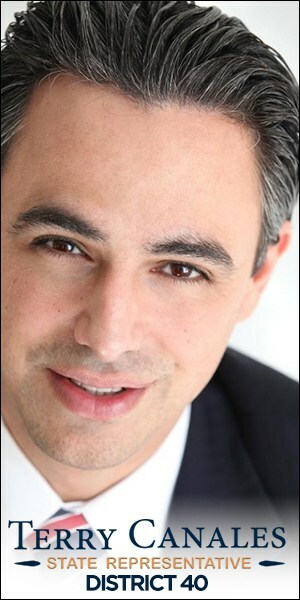 The managing partner at Atlas and Hall, Gurwitz was hand-selected by former Gov. Ann Richards to serve on STC’s founding Board of Trustees in 1993 with the inception of the college. 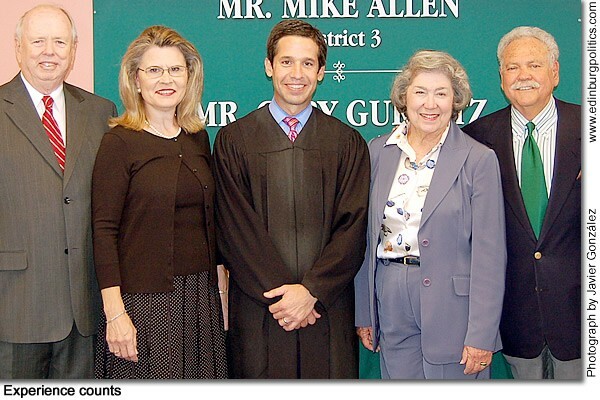 Featured, from left: Mike Allen and his wife, Theresa Allen; U.S. District Judge Randy Crane, who administered the oaths of office; and Bailey Gurwitz and her husband, Gary Gurwitz. The terms for Allen and Gurwitz expire in May 2016. See lead story in this posting. 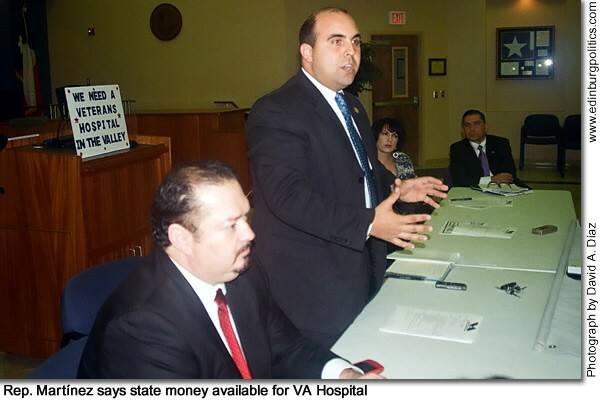 The Veterans Alliance of the Rio Grande Valley on Sunday, May 2, confirmed that Lt. Gov. 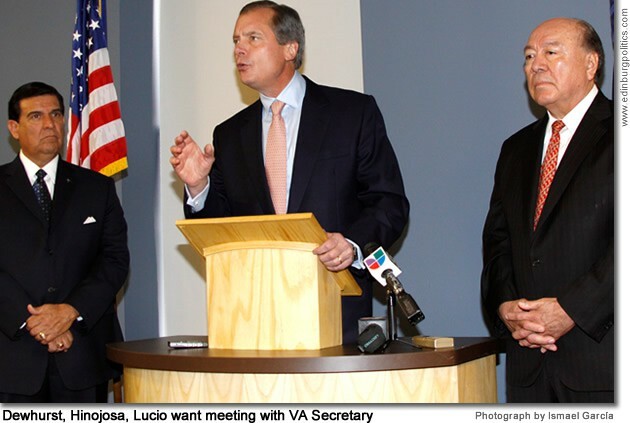 David Dewhurst, a Republican, featured center in McAllen on Monday, February 1, along with Sen. Juan "Chuy" Hinojosa, D-McAllen, featured right, and Sen. Eddie Lucio, Jr., D-Brownsville, featured left, have invited U.S. Secretary of Veterans Affairs Eric K. Shinseki to come to South Texas and see for himself the need for a Veterans Affairs Hospital for the four-county region. In the correspondence dated April 21 and addressed to Shinseki on Dewhurst’s letterhead – and signed by Dewhurst, Hinojosa, and Lucio – the three state leaders requested a meeting, either in the Valley, at the Texas Capitol, or in Washington, D.C., to help persuade Shinseki to authorize the construction of a full-fledged VA Hospital in the Valley. "We are writing today to fulfill a promise to the veterans of the Lower Rio Grande Valley and also to follow up on recent efforts by Members of the Texas Delegation to secure Department of Veterans Affairs support for expanded health services in the Texas Rio Grande Valley. We must continue to improve access to health care to our veterans who served our country in defense of freedom and our way of life," the letter stated. Area veterans have been asking the Department of Veterans Affairs for a hospital for the last three decades. See story later in this posting. The Rio Grande Valley is one of two areas of Texas with the lowest number of licensed pharmacists per 100,000 people. Alarming? Many South Texas leaders think so and that is why South Texas College and the Texas A&M University Irma Lerma Rangel College of Pharmacy are teaming up to prepare more pharmacists to meet a growing demand. The two institutions recently signed an agreement which would ensure that any South Texas College student who earns the college’s Associate of Science, Field of Study Pre-Pharmacy degree, will be guaranteed that all of their courses will transfer to the Rangel College following admission. 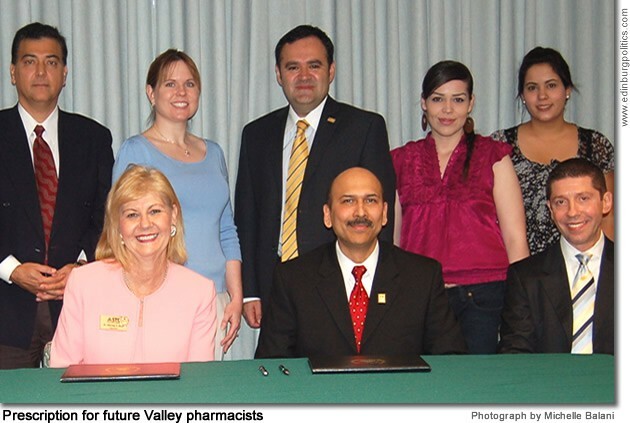 On Friday, April 30, representatives from the two institutions of higher education celebrated the partnership in McAllen, including, seated, from left: Dr. Shirley Reed, president of South Texas College; Dr. Indra K. Reddy, dean of the Irma Rangel College of Pharmacy; and Dr. Charles Robertson, associate dean of student affairs for the Irma Rangel College of Pharmacy. Standing, from left: Dr. Max Abbassi, chair of STC’s Pre-Pharmacy Program; Dr. Theresa Garza, chair of STC’s Pharmacy Technician Program; Juan Mejia, STC vice president of academic affairs; and STC Pre-Pharmacy Program students Nelissa García and Yvette Cantú. See story later in this posting. State and local leaders in Pharr on Friday, April 14, broke ground on a $4 million expansion of Sugar Road, which will help improve traffic flow between that city and Edinburg from Sioux Road to Owassa Road. Construction is scheduled to begin in mid-June and last through the end of 2011. State funds will pay for 95 percent of the project, said Sen. Juan "Chuy" Hinojosa, D-McAllen, who helped secure that funding. Edinburg is currently working on its own expansion of Sugar Road, which will help improve traffic from Pharr to Edinburg Regional Medical Center and Edinburg Children’s Hospital. 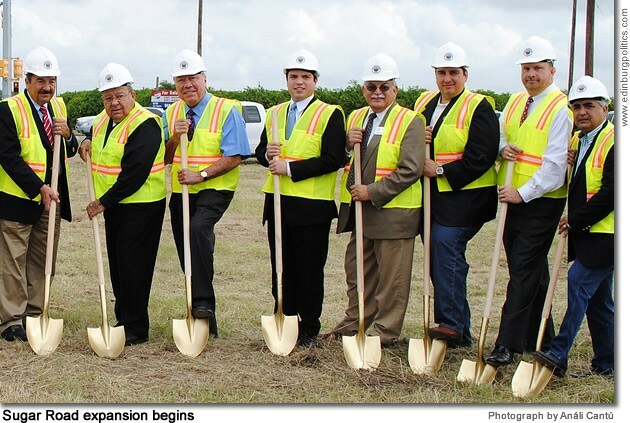 Some of the more than one dozen area officials featured for the groundbreaking ceremony included, from left: Hidalgo County Precinct 2 Commissioner Héctor "Tito" Palacios; Pharr Mayor Leo "Polo" Palacios, Jr.; Sen. Juan "Chuy" Hinojosa, D-McAllen; Rep.-elect Sergio Muñoz, Jr., D-Mission; Roy Martínez; Hidalgo County Judge René A. Ramírez; Andrew Canon, executive director, Hidalgo County Metropolitan Planning Organization; and Eddie Sáenz, Pharr City Engineer. After welcoming state lawmakers participating in a rare dual-legislative committee hearing in Hidalgo County on Thursday, April 29, McAllen Mayor Richard Cortéz had choice words on how a growing number of the press – when reporting on Mexican military battles with criminal drug cartels in that country – are distorting what is really happening on the Texas side of the border. "We want the truth, and the truth is we have concerns about the violence in Mexico," Cortéz said, but cautioned, "There has to be a profit in sensationalizing information because everyone seems to pick that approach to disseminate information." Cortéz was addressing a packed house in one of the conference rooms at the McAllen Convention Center, which hosted the joint legislative hearing – led by Rep. Verónica Gonzáles, D-McAllen, and Rep. Tommy Merritt, R-Longview – to evaluate the effectiveness of state operations at controlling drug-related crimes and other violence along the Texas Mexico border. See lead story in this posting. 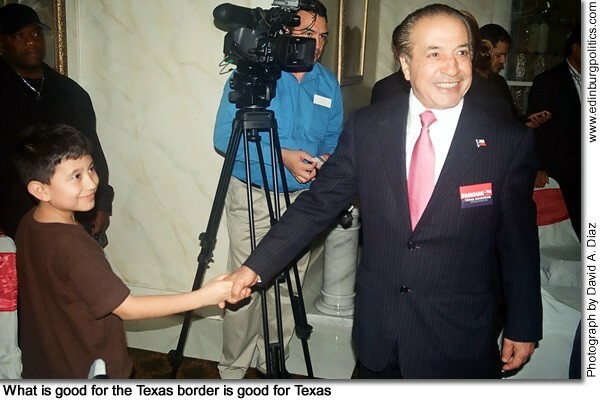 What is good for the Texas border region is good for Texas, says Farouk Shami, featured here shaking hands with a young supporter during his early February campaign swing through McAllen. Shami, who is seeking the March 2 Democratic Party primary for governor, has laid out his policies for helping the Texas border region. 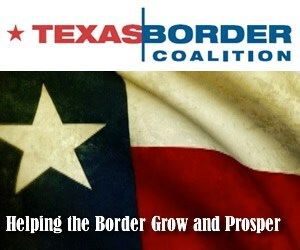 His plans include promoting industry cluster development along the border, increasing educational opportunities on the border, building new infrastructure along the border, and ensuring all Texans living along the border have access to healthcare and educational resources, according to top campaign leaders. "Industry cluster development is my plan to work with local officials on each side of the border to build high-skill, capital-intensive factories on the U.S. side of the border and have them partner with low-skill, labor-intensive facilities on the Mexican side of the border," said Shami. "This lowers the cost of manufacturing and allows companies to build products at a low price while ensuring the highest quality possible," he added. "Promoting these will eliminate any incentives to outsource to China and India." See lead story in this posting. 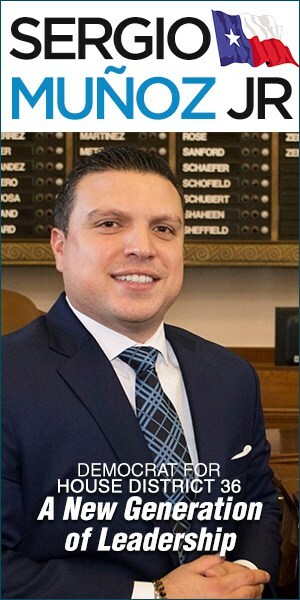 Rep. Armando "Mando" Martínez, D-Weslaco, on Monday, February 22, provided veterans groups leaders meeting at Weslaco City Hall on his specific plan to secure state funds to help pay for the construction of a Veterans Administration Hospital for the Rio Grande Valley. He said he will file legislation in 2011 to tap into the Texas Enterprise Fund and the Texas Emerging Technology Fund – which together have several hundred million dollars in reserves – to get the long sought-after hospital for the region. Featured, from left: Rep. Rene Oliveira, D-Brownsville; Rep. Martínez; Ana García, representing Sen. John Cornyn, R-Texas; and Julian Álvarez, representing Sen. Kay Bailey Hutchison, R-Texas. 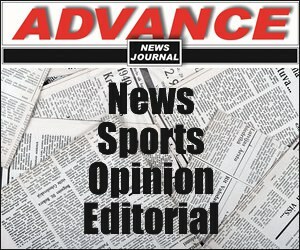 See story by Treto Garza, veterans affairs columnist for the Rio Grande Guardian, later in this posting. Key Valley legislators, including Rep. Aaron Peña, D-Edinburg, Rep. Rene Oliveira, D-Brownsville, and Rep. Veronica Gonzales, D-McAllen, met in Weslaco on Monday, February 22, with the Veterans Alliance of the Rio Grande Valley, which is lobbying for the construction of a Veterans Administration Hospital for the Rio Grande Valley. A few days after that session, Homer Gallegos, the chair of organization, said the group is reactivating a Veterans Alliance strike force to assure that Valley veterans are kept updated on similar events being held in South Texas. 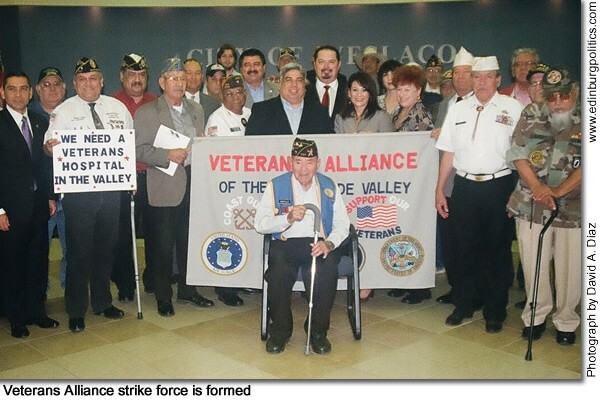 "The strike force is a group of veterans from the Veterans Alliance who volunter to be on call in case an important meeting or event is scheduled," said Gallegos. "Many a times there are events, community activities, local governmental meetings and other gatherings that discuss veterans issues and health issues. 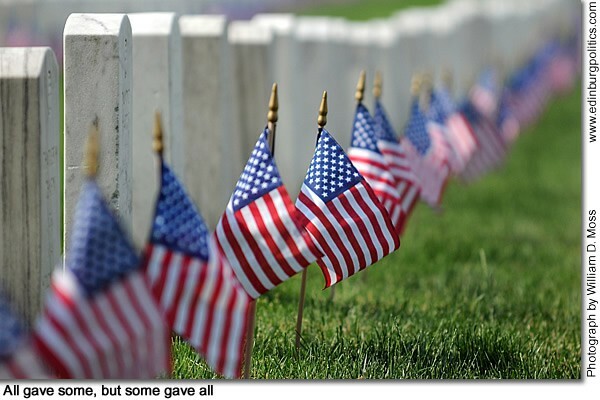 The Veterans Alliance sometimes get last-minute notice of these events. The strike force will assure that the veterans are represented." In the coming days, the Strike Force will see its first action, including meeting with Harlingen Mayor Chris Boswell in the Harlingen Town Hall room and a meeting with the new Catholic bishop for the Valley – the Most Reverend Bishop Manuel Flores, Catholic Diocese of Brownsville. That meeting is sheduled to be held Brownsville. 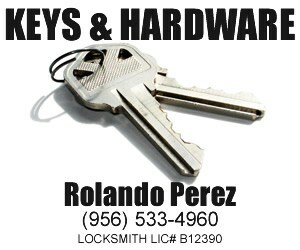 More information is available by contacting Gallegos at 956/878-6144. South Texas College recently hosted a special breakfast at its Mid-Valley Campus to recruit mentors for its Valley Scholars Program. 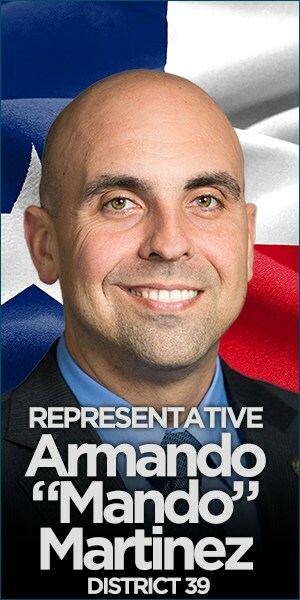 "The most important message I have for all of our students in South Texas is that no one is smarter than they are – period," said Rep. Armando "Mando" Martínez, D-Weslaco, who is one of the mentors. "That’s why I work so hard to bring the best higher educational opportunities, such as the medical school, and in the near future, a law school, to the Valley. 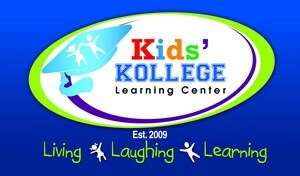 Our students have what it takes to reach for the stars." Featured, front row, from left: Rep. Armando “Mando” Martínez; and STC Valley Scholars Ángel Chavero, Elizabeth Becerra, Nora Macareno, Paula Noel, Elizabeth Pat and Diana Ruiz. 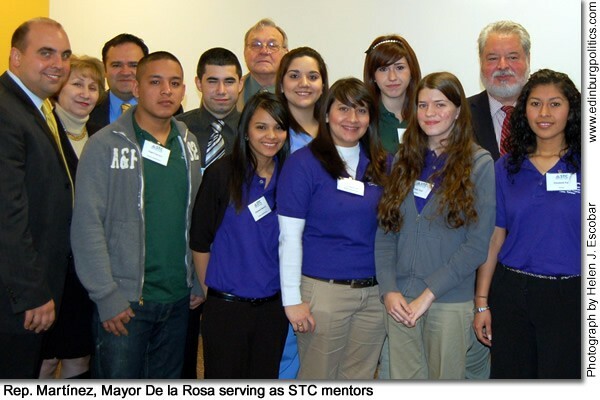 Back row, from left: Anahid Petrosian, assistant to the STC vice president for academic affairs; Juan Mejia, STC vice president of academic affairs; STC Valley Scholar Joshua Domínguez; Monte Churchill, STC Mid-Valley Campus site coordinator; and STC Valley Scholars Dakotah Fernández and Janet Martínez; and Weslaco Mayor Buddy de la Rosa. Mentors for STC’s Valley Scholars Program make a significant difference in the lives of the students they mentor. Mentors serve as role models by sharing personal and work experiences with students. They should expect to attend monthly meetings during each academic semester; attend special events and activities; correspond with mentees via e-mail and phone; and possibly take students to luncheons or other motivational activities and field trips. See related story. South Texas College’s fifth annual summit on college readiness was the stage for more than 250 educators from across the Rio Grande Valley of Texas to decide that they would be the ones to set the national standard for college readiness. How are they going to accomplish it? By creating a unified, college-going culture. “We gather to show the data and how we are doing in preparing students for the challenges of college; it’s not about pointing fingers, rather collaborating on how we can do things better,” said STC President Shirley A. Reed. “A strong college-going culture throughout a child’s school experience is the strongest predictor of going to college. We, as a region, have hit a plateau with only 60 percent of our students going to college. We need to build a culture where college-going is an expectation for all, not just an opportunity for a few.” Featured, from left: President Reed; President Nelson; Katherine Boswell, director of the Center for Community College Policy for the Academy for Education Development; Anna H. Rowan, K to 12 policy analyst for The Education Trust; and Mary Treviño, Region One Education Service Center PEIMS coordinator. See story later in this posting. 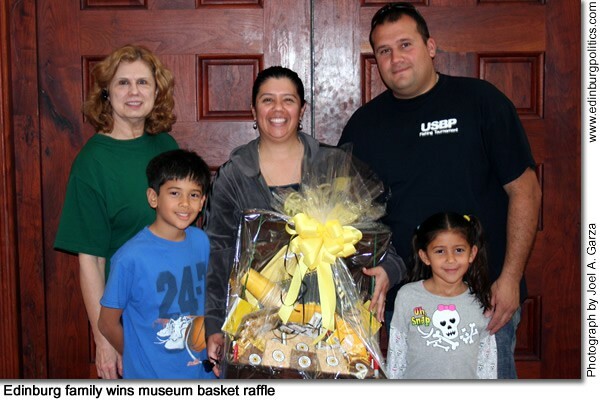 The David Rodríguez family of Edinburg won the Which Wich FRIENDShip Basket Raffle at the Museum of South Texas History’s Pioneer and Ranching Crafts Day. Which Wich franchise owners Debbie Wilson and Chad Wilson generously donated the basket, filled with delicious Which Wich treats, to MOSTHistory for the FRIENDShip Raffle. All individuals who purchased a FRIEND membership at the event were entered in the drawing. 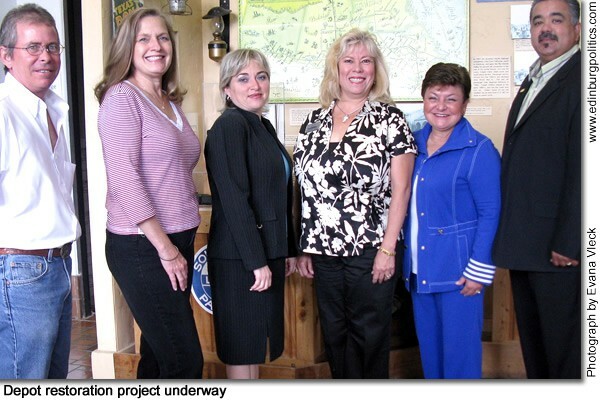 FRIEND Memberships support the mission and operation of the Museum of South Texas History. To purchase or renew your FRIENDShip, call Lynne Beeching at/or visit http://www.mosthistory.org. The Museum of South Texas History is located on the Hidalgo County Courthouse Square in downtown Edinburg. 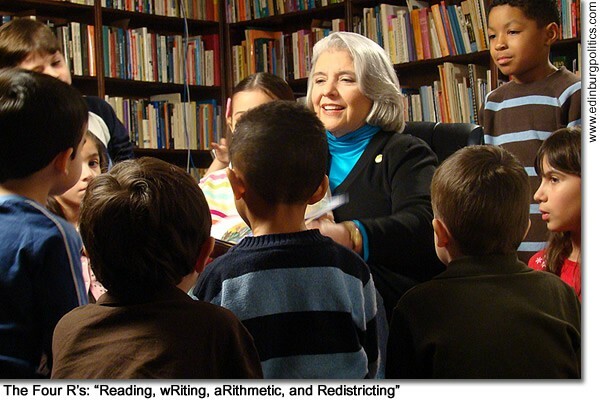 Featured, from left: Family friend Sylvia J. Reash; Patricia Rodríguez; David Rodríguez; Alejandro A.Rodríguez; and Andrea A. Rodríguez. Manic Monday Blues are suffered by many. 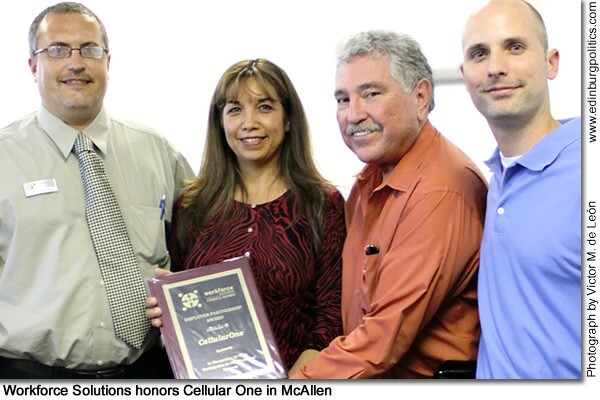 The McAllen Hispanic Chamber has discovered a sure way to get rid of those blues. They celebrate at a Manic Monday Mixer and guarantee to rid the blues from it’s members and future members. On Monday, March 1, the Manic Monday Mixer will be hosted at The Patio at Guerra’s, located at 116 S. 17th in the Entertainment District of McAllen. The Manic Monday Mixer will be held from 5:30 p.m. to 7:30 p.m. 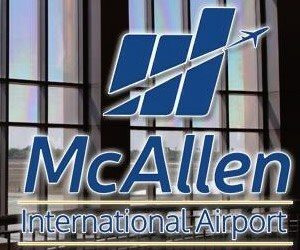 The McAllen Hispanic Chamber invites the community to come and meet MHCC members and network. Making business contacts will surely make Monday a productive and enjoyable day. Food and refreshments will be offered at special prices. 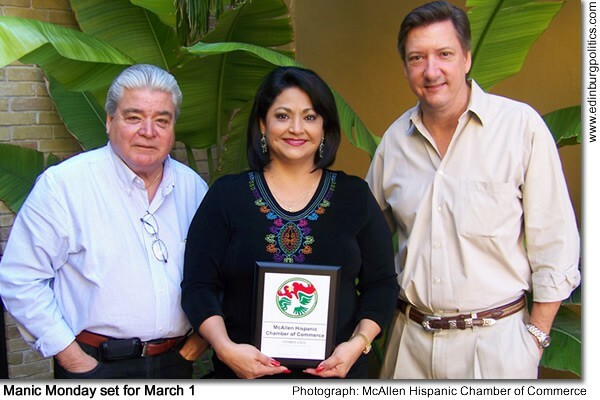 Featured, from left: Art Guerra, Jr., co-owner; Cynthia M. Sakulenzki, MHCC president and chief executive officer, and Che Guerra, co-owner.